Goodwin International Limited is the market leading manufacturer of Dual Plate and Non-Slam Check Axial Valves for use in the worlds� hydrocarbon, energy and process industries. Our sister company Noreva GMBH also manufactures Axial Non Slam Check Valves to the global hydrocarbon, water and transmission markets. Late 2016 Goodwin launched to the global hydrocarbon industry its brand new range of Actuated Axial Isolation and Actuated Axial Control Valves. 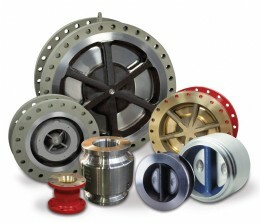 With a range of novel, innovative, unique and patented features, this new range of valves offers the above industries some much needed quality competition, competitive pricing and improved deliveries, in what is a monopolised market of one manufacturer. Some 20 months on from the product launch of our new range of Actuated valves, we are gaining considerable traction within the market with a number of contracts secured valves both in manufacture and delivered to the client with installation in the field imminent. We continue our pursuit of End User approval & acceptance with key trial valve acceptance underway and in manufacture. These trials are with major global Oil & Gas industry players which upon successful completion will further accelerate the global acceptance of Goodwin actuated Axial Isolation, Control, HIPPS and Choke Valves. A pilot-scale control valve test facility has been built by Goodwin to validate our bespoke control valve sizing software in terms of valve Cv, control valve cage trim and resultant acoustic levels. 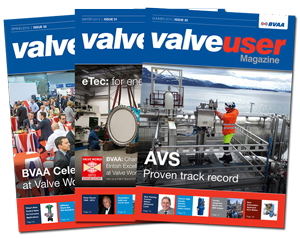 Results of the testing conducted have enabled a validated adjustment of the sizing software to more accurately reflect actual test results, giving the user considerably more confidence that the performance of the valve in service more accurately reflects the sizing and performance data provided at quotation stage and is process and application specific. Manufactured at the same facility as the existing range of Dual Plate and Non-Slam Check Axial Valves, this new range benefits from the same engineering design expertise, quality processes and excellent delivery performance that Goodwin International is renowned for. Based in the United Kingdom & Germany, Goodwin & Noreva sells internationally exporting to over 80 countries. Goodwin offers outstanding support to its customers listed amongst whom are many of the world�s end users, oil majors and international engineering contractors. 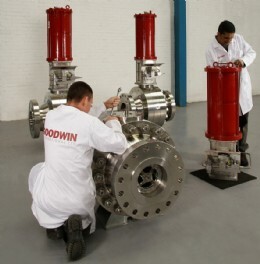 With almost 40 years of valve manufacture, 135 years of casting production, selling internationally, Goodwin group of companies has an enviable reputation for quality of product and exceptional service; this is now further enhanced by the addition of these critical application Isolation and Control valves. Supporting both Goodwin & Noreva is another sister company Goodwin Steel Castings, founded in 1883. Being one of the foremost cast foundries in Europe producing high quality steel & high nickel alloy castings for a multitude of industries including civil, defence and nuclear in addition to oil & gas markets.